Get Your Best Price Now! **Price is plus sales tax, $184.00 private tag agency fee and titling, any dealer installed accessories and dealer service fee of $899, which represents cost and profits to the selling dealer for items such as cleaning, inspecting, adjusting new vehicles and preparing documents related to the sale. Vehicle subject to prior sale. Terms and conditions may vary. See dealer for complete details. 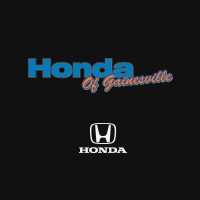 By submitting my cell phone number to the Dealership, I agree to receive text messages, and phone calls, which may be recorded and/or sent using automated dialing equipment or software from Honda of Gainesville and its affiliates in the future, unless I opt-out from such communications. I understand that my consent to be contacted is not a requirement to purchase any product or service and that I can opt-out at any time. I agree to pay my mobile service provider’s text messaging rates, if applicable.